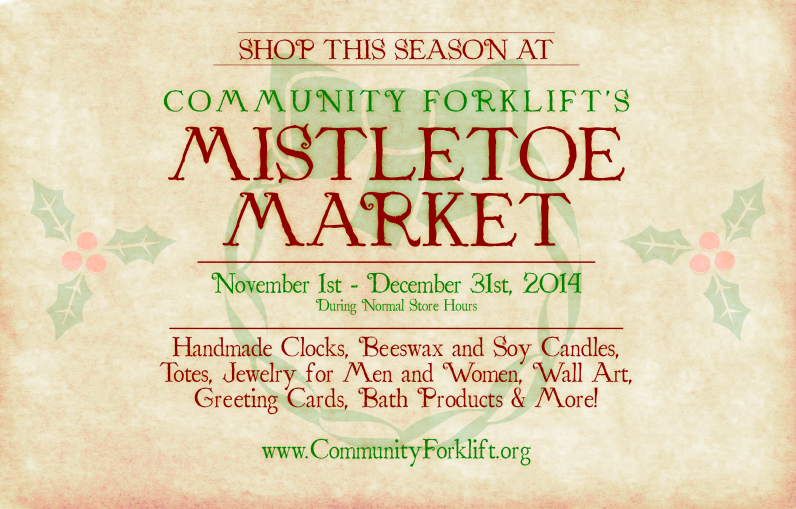 Home » Community Happenings » Find great gifts at our Mistletoe Market! Find great gifts at our Mistletoe Market! Dreading the crowds at the mall this month? We have affordable gifts made by local artisans using recycled and reclaimed materials, including nontoxic cleaning products, handcrafted Christmas stockings, recycled glass wind chimes, funny throw pillows, stylish clutches, t-shirt produce bags, leather cuff bracelets, eco-friendly holiday cards, steampunk lamps, and amazing lamps and clocks made out of vintage appliances. 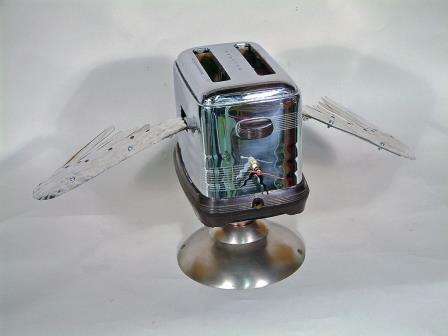 Yes, we even have a flying toaster. So come visit us soon! 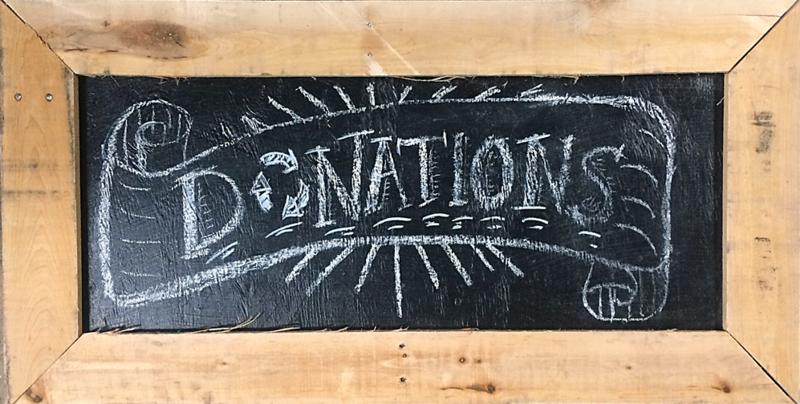 Also, make sure to visit our newest project, Tanglewood Works, where upcycling and art connect! Located just to your left before you enter our courtyard, the shop is bursting with a variety of unique and handmade gifts.